No matter how hard you try, but at one point of time you’re going to open your eyes to see you have a lot of stuff with you, and the bad part is you don’t have enough space to store them. Due to this lack of space management, your house or office looks likes a mess, and you have no space left for buying and storing some important thing. While living in a house that lacks proper storage it becomes hard to manage things and you don’t find the things you need at the moment. Temporary self storage; what is the need? Sometimes we accumulate a lot of stuff, and which we can’t throw due to sentimental values associated with the stuff, also you might need the stuff in future and that’s why it’s still with you. Sells your house faster: A de-cluttered home makes a better impression with prospective buyers. Hiring a temporary storage unit beautifies your home and also increases the resale value. Acts as a storage for future: Every parent or a grandparent posses some stuff that they want to pass on to their child or grandchild when they get a little older. Hence, temporary mini storage can be the best solution for storing that stuff. Safe and cost effective storage solution: When you’re away from your home or out of the country for a while, you need to store your stuff in some safe place and if you calculate the cost, self storage spaces proves cost-effective. Proves helpful at dramatic time of divorce: Divorce is a sad thing which is affecting more and more people every day in the USA. After divorce people tend to move to smaller places because they don’t need large spaces, and they need temporary self-storage spaces to store their stuff until they find something more permanent. Downsizing for retirement: As the retirement approaches, life gets difficult to manage with the cost of living so high. People start downsizing due to lack of space, and prefer to store away sentimental stuff and furniture for rainy days. Useful in business: There are industries doing business online and they avoid spending on infrastructure. Most of the e-commerce industries do business but they don’t build storage spaces for storing products, instead, they use temporary storage spaces in different origins wherever their business is. Helpful while renovation: While renovations are done to beautify your house but sometimes the simplest renovation turns your brand new furniture and other articles into historic and old ones, and you have to spend extra money to restore the beauty. Storage for collectables: Some people are born travellers and they love gather collectibles from different places, but they lack proper storage space in their home for them. Self storage spaces can prove helpful. The cost depends entirely on the company which provides you the facility, however, it’s suggested that you calculate properly before investing. Sometimes, whatever you pay for the storage unit turns out to be expensive., and you can buy the stuff twice or thrice with the same money. 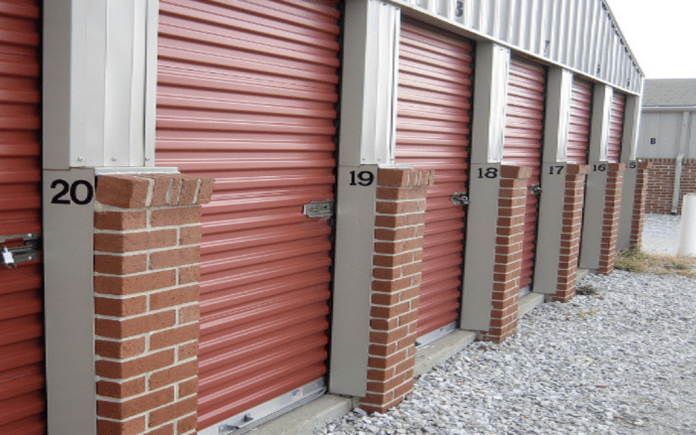 A 5×5 foot storage unit usually runs about $40-$50 per month. 10×15 foot units cost $75-$140 per month or $115-$150 for a climate controlled space. There are multiple companies available in the market who provide storage solution. You have to search for them on the internet and call them, but make sure you compare the prices, and decide if you really need it. While moving can be an overwhelming experience, but stressful and difficult at the same time. Moving asks for proper management of your stuff so that you can easily find out where the stuff is which you are looking for, and when you’re looking for. Some companies store their extra furniture and other documents which are not in use but may come in use in future in storage spaces. Also, there are business that operate using temporary storage spaces rather than investing on permanent storage spaces. Calculating the profits, temporary storage spaces seems effective. Moreover, there are companies which started doing business by providing mini and temporary storage spaces observing the scope of business.